Professor Henk Langendijk is currently professor of external financial reporting at Nyenrode University and professor of external financial reporting at the University of Amsterdam. He has lectured in finance at the University of Amsterdam since 1980 and previously worked at BDO and Arthur Anderson. He has contributed articles to various financial journals as well as written a number of books in the field of financial accounting. He is a member of the Advisory Council of the Limperg Instituut. In addition, he is editor-in-chief of the magazine Accounting, editor of Accountant-Adviseur and a member of the VERA steering committee on financial reporting. We have to produce one set of unified high-quality global standards (D. Tweedie). Shifting towards an Anglo-Saxon perspective on rules (E. Eeftink). 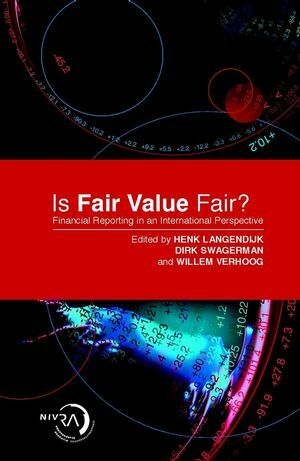 Fair Value Accounting will result in less transparency and more volatility in banks' financial reporting (B. Bruggink). Warning signals about the application of fair value for financial instruments (T. O'Malley and P. Hofsté). Part VII External financial reporting and new-economy companies. The valuation of new-economy companies (A. de Bos).